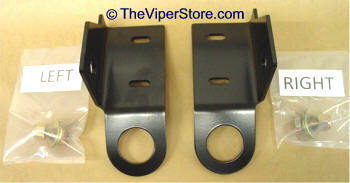 This Rear Tow Hook kit includes one left and one right side. is made from 1018 Steel, and Black Powder Coated. Bolts to the right or left rear frame rail with Grade 8 Hardware included. The complete kit installation can be done in less than 15 minutes. On 2016-2017 Viper ACR Extreme Aero package you will have to cut a slot into the rear fascia because of the added air foil. 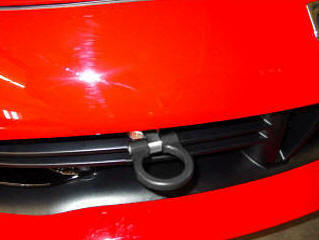 This Tow Hook kit is made from 6061-T6 Aluminum, and weighs only 2 LBS. Its design is stronger and distributes the load over a greater area unlike other steel versions on the market. The complete kit installs in less than 30 minutes, and when needed the Tow Ring can then be installed or removed in less than 2 minutes, so you don't run into it when walking around the front of the car. 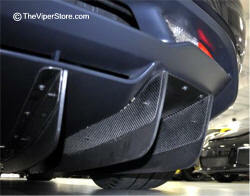 Also available SCCA approved version which does not stick out in front of the bumper fascia. 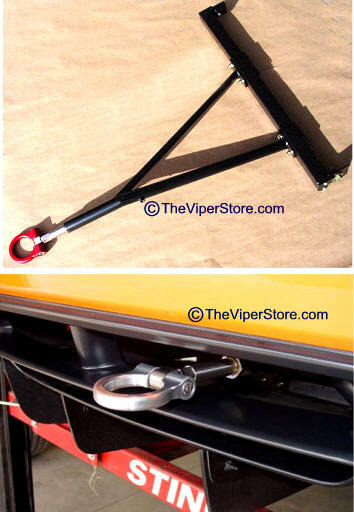 This Tow Hook kit is made from 6061-T6 Aluminum and bolts to the Front cross brace behind the grill and works on all Gen 5 cars. The complete kit installation can be done in 1/2 hour. 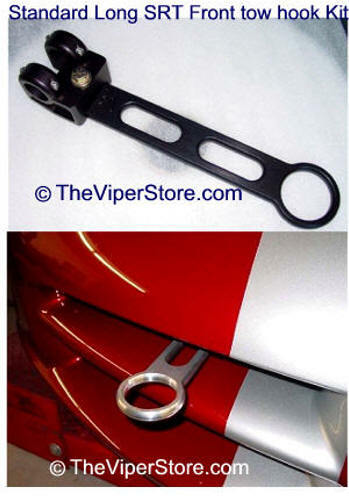 This Tow Hook kit is made from 4130 chrome-moly steel tubing. Bolts to the right and left rear frame rail with Grade 8 Hardware included, and will work on ACR Extreme equipped cars. The complete kit installation can be done in 1 hour.